Over two years in the making, a superior blend of 27 active naturals COMBINED TO CReATE THESE STUNNING, ORGANIC, AYURVEDIC LIPSTICKS! Nudus first came to my attention earlier last year when a mutual friend told me about the brand during a dinner party. I was explaining my work and passion for all things natural and organic (especially beauty) and he mentioned Nudus - an Australian made, organic lipstick brand created by a fabulous friend of his, Diana... Needless to say, it remained on my radar ever since! Nūdus is handcrafted with beautiful certified organic ingredients and combines bioactive ancient ayurvedic colours and extracts made from flowers, fruits, herbs and minerals with organic cold pressed oils. A specially designed tasteful formula incorporating super foods, antioxidants, vitamins A, B, C, D, E and K, essential fatty acids and high-end anti-aging ingredients to keep your lips soft and help protect them from environmental stress. FIND FULL REVIEW BELOW - 6 REASONS WHY I LOVE THIS LIPPY! ABOVE: Full colour range from "Lip Euphoria Range"
BELOW: A few shots from my makeup work using Nudus on Ally Carey from Substance Blog for FreePeople Shoot (full credits below). Not only are these lipsticks made from 100% natural ingredients, they are also the first company in Australia to have the "Cosmos" Organic certification - i.e a very high standard of certification, requiring strict traceability of all ingredients, where they come from and how they are processed. They are also Australian made and cruelty free. 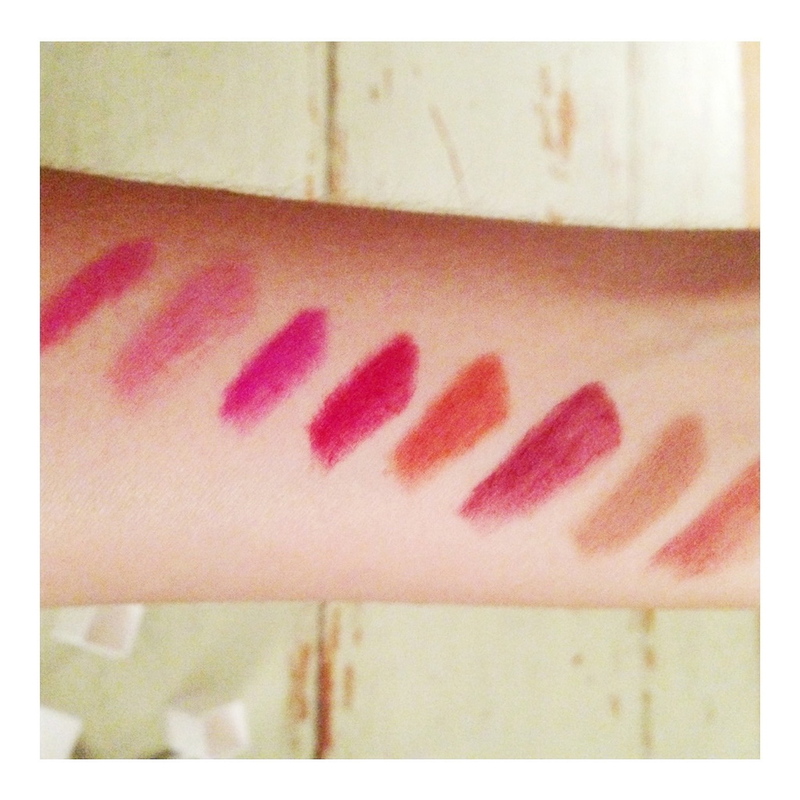 Yep they are seriously the most long lasting Natural Lipsticks I have ever tried. Thanks to the perfect balance of creamy and moisturising, yet waxy ingredients, the lipsticks stain and stay put on the lips like a second skin! All of the lipsticks in the range have a beautiful Matte finish. Matte is always the ideal finish as it is easy to make it shiny with added paw paw balm or lipgloss, but its difficult to make a shiny lipstick matte. This also helps with the staying power..
"Rich" is the first word that comes to mind when describing these lippys. The colours are very highly pigmented, ultimately meaning you can use less for desired colour result and coverage. This also means the lipstick will go a lot further ( once again, longer lasting) ultimately saving you money and the environments resources! Not only are the lipsticks organic and hand made in Australia .. but the ingredients are AYURVEDIC. Does it get much better? "Nūdus pigments are a special mix of ancient Ayurvedic pure bioactive colour extracts from flowers, fruits, herbs and minerals. Each colour extract has a dual purpose of bioactivity and therapeutic function. These color extracts have been chosen on the basis of their properties promoting preventative healthcare. The extracts not only provide longer lasting colours, but safer active moisturising properties, based on the technology of an ancient progressively vibrant traditional medicinal system." Nudus lipsticks are handcrafted. THIS IS GOOD! Basically, what this means for you is that they are carefully made in small batches in a certified organic environment in Sydney Australia. There is no machinery involved in the process and the utmost care taken every step of the way to ensure freshness and quality control, making sure when you receive your nūdus product, it is of a highest standard and not sitting on a shelf for long periods of time. 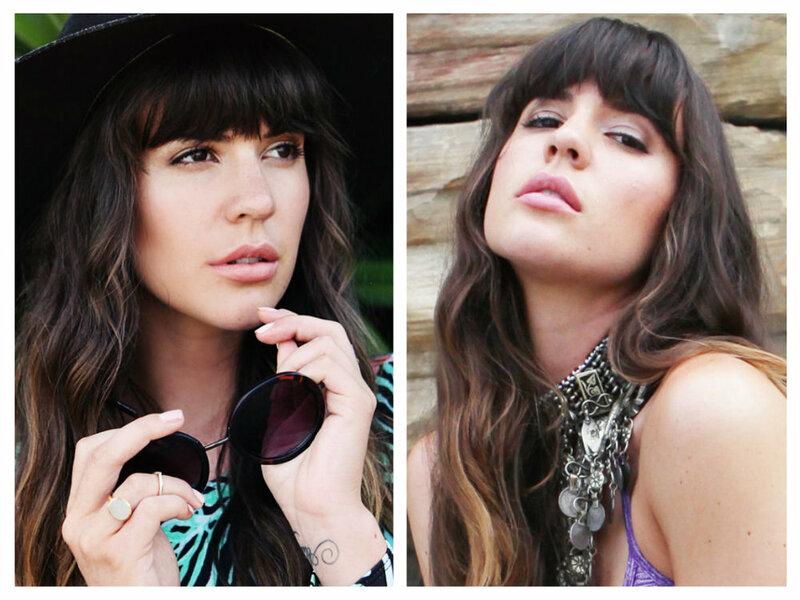 All images above are from my makeup portfolio - Free People shoot. LIPSTICKS WORN include NAKED, HALO & BITTERSWEET. Nudus is also widely available at many other reputable online natural beauty stores.